If you live or work in NSW’s second largest city, SP Screens has you covered. We have years of experience supplying Newcastle with Stainless Steel Security Screens, and have many happy customers in suburbs such as Kotara, Merewether, Warners Bay, New Lambton, Maitland, Raymond Terrace, Stockton, Wallsend, Hamilton and Bar Beach. 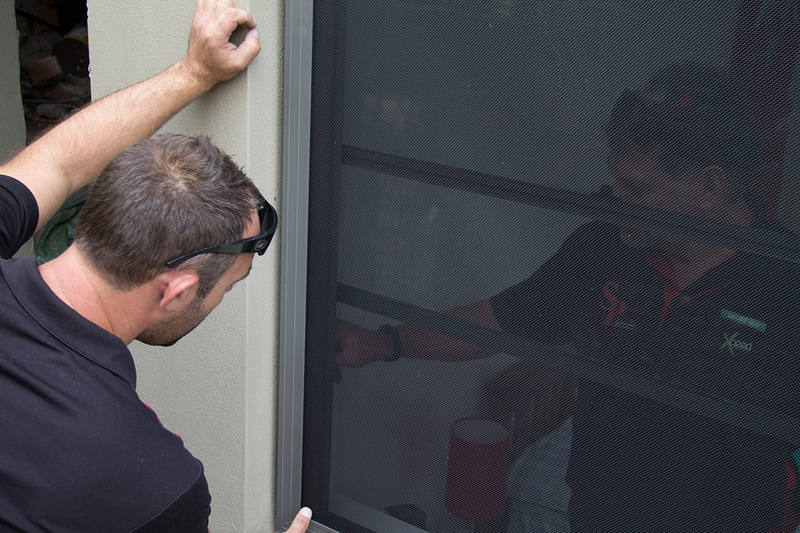 Our local Newcastle team are security licenced and understand that because the Newcastle region is on the East Coast, our security and insect screens need to be corrosion resistant. The salty ocean breeze and humidity means that inferior products just won’t last in Newcastle. So whether you need affordable insect screens to keep the bugs out and the breeze in, or strong, impact-resistant security screens to keep intruders at bay, have a look at the SP Screens range – we supply and install a huge range of quality brands, including SecureView Eclipx and Xceed. Our local sales team are happy to bring our mobile Newcastle showroom to you, and will provide you with a free measure and quote. Alternatively, we have a display in the HIA Home Inspirations Centre in Mayfield West. Or, our showroom on Barralong Road in Erina is only 1 hour and 20 minutes’ drive away. Security doors from SP Screens are designed to provide a toughened barrier, resistant to impacts, jemmying, blades, and a huge variety of other forced entry methods. The meshing provides an effective insect screen, while our instalment method and colour schemes mean they won’t ruin your home’s aesthetic. Windows on higher floors can be the cause of danger for young children, the elderly, and pets. Our Fallsafe screens meet BCA requirements and are built to ensure that no residents of your home suffer an accidental fall through a flimsy insect screen, by providing a strong, reinforced barrier, that won’t discourage airflow through your windows. Our line-up of Retractable flyscreens allows you to screen off larger openings in your home. Bifold doors, opening on to your deck, can be flung open to invite the breeze and the ambiance of the fresh air, while your retractable fly screens ensure that your home doesn’t attract a horde of pesks. And when they aren’t in use, they easily slide away to the side, ready for when you need them. privacy screens are an ideal addition to the property of anyone looking to increase their liveable space. Built of aluminium, they won’t rust or degrade, and installing them can improve upon your home’s security by screening off your property from the street which discourages opportunistic entry and theft. A classic method of providing privacy for your home, plantation shutters have been a stylish addition to Australian homes for many years. Our custom-built shutters are colour-matched to your home, and can provide shade on those sunny days, aiding in the maintenance of an amenable climate indoors. Roller Blinds are a great way to help control the weather in your alfresco areas. They can help screen out the scorching summer sun and provide protection from poor weather conditions such as wind and rain. Available in a huge range of fabric choices, outdoor roller blinds are a clever and modern way to allow you to enjoy a more comfortable outdoor space.